It’s okay to laugh out loud today. You don’t even need a reason because today is International Moment of Laughter Day and that ought to be reason enough. The day is the brainchild of Izzy Gesell, a self-described humorologist. To help you celebrate the day, here is a list of ways you can laugh. You can titter, giggle, chuckle or chortle. You can cackle or crow. You can snicker, snigger or snort. Ha-ha, hee-haw, ho-ho, tee-hee, yuk-yuk. You can guffaw, belly laugh or horselaugh. You can roar or shake with laughter. Split your sides, bust a gut, roll in the aisles and perhaps die laughing. And of course there’s the ever-popular laughing until you pee your pants. If we don’t succeed we run the risk of failure. We were the first on our block to have a television set. Perhaps today that’s more a confession, an admission of weakness, than a source of pride. But back then it was a source of great pride. This, of course, was way back then — when we got our first television set, television programming didn’t invade our living rooms until four in the afternoon, and it exited by eleven, wrapping things up and signing off with the Star Spangled Banner and a test pattern, a device that tested the clarity of your vision or something like that. (The late night part is hearsay; I was not allowed, early on, to stay up that late.) But even though it was a mere seven hours of television, we flaunted it. One problem with that early television schedule quickly surfaced – it stretched right through dinnertime. But technology would solve that problem for us, too. 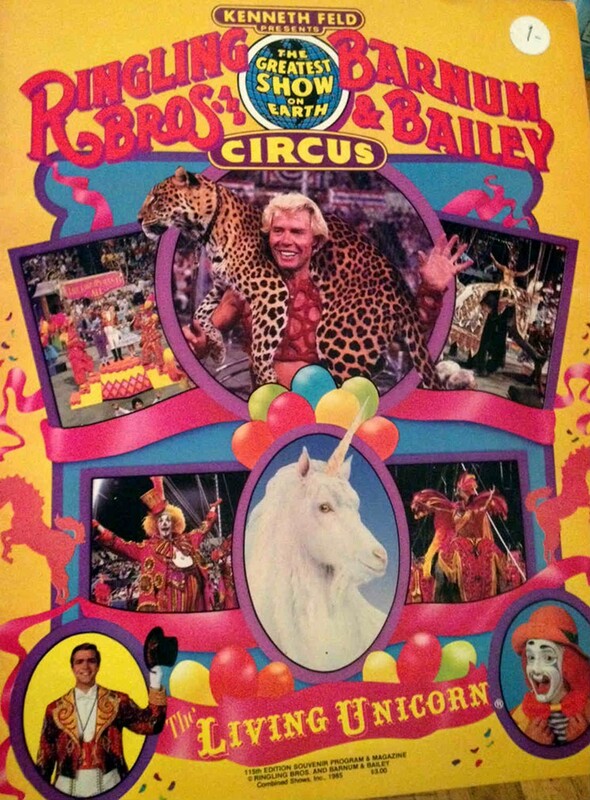 One night, with great ceremony, my father brought home the devices that would allow us to watch “Super Circus” and “Tom Corbett, Space Cadet,” without culinary interruption — TV trays. What a marvelous idea. They were tinny, vulgar and liable to collapse under anything heavier than roast beef, but night in, night out, my mother would slap a full meal right onto those trays. Bless her. Given diners who never once dropped their eyes to look at their plates and a husband with the narrowest of gastronomic parameters, she still put that dinner on those TV trays every night, making certain that every meal, no matter how meat and potato it might be, was accompanied by a healthy salad. Little wooden bowls brimmed with lettuce, onion, carrot, celery and radish. We were partial to radishes – round and ruby red until cut by my mother into slices so uniform that, if they were placed side by side, you’d need a micrometer to measure the difference in thickness. My mother quickly and quietly, with mumbled apologies, removed the offending salad and went to the kitchen, where she remained, sitting in the shadows, most likely sobbing, while her selfish loved ones blithely watched television, unaware that a heart had been broken. I thought nothing of my thoroughly ignoble behavior at the time; it was just one more carelessly tossed off cruelty. But as the years passed, that single unpleasant act began to haunt me more and more. My early visions of my mother sitting in the kitchen sniffling intensified as I aged. And finally my mother was wailing at the top of her lungs and beating her breast before finally flinging herself in anguish against the refrigerator door. And it was all my doing. Classic denial. 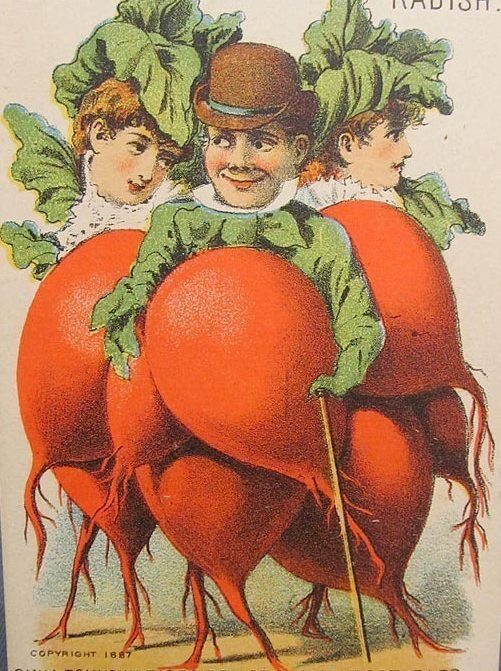 My mother had buried the Day of the Radish deep within some crevice of her mind, denying it, and she continued to do so for the rest of her days. Nevertheless, I have cleansed my conscience, and I can eat radishes once again. The film revived Vincent Price’s career, positioning him as the go-to guy when you needed a mad scientist or fiendish psychopath. 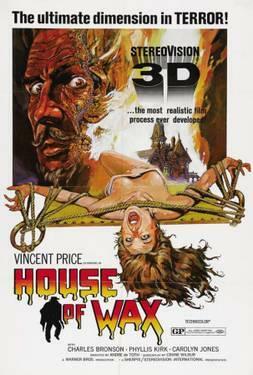 Although House of Wax had a couple of classic 3-D effects (the pitchman with a paddleball and a character who seemingly stands up in the audience and runs into the screen), it was not loaded down with them. This might have been because the director was blind in one eye and couldn’t understand what all the fuss was about. On this day in 1985, Lancelot the Unicorn who had been touring with the Ringling Brothers and Barnum and Bailey Circus — famous for outlandish attractions — was exposed as a fraud. Audiences were appalled to learn that Lancelot wasn’t a real unicorn at all, just a goat with a horn surgically attached to its forehead. 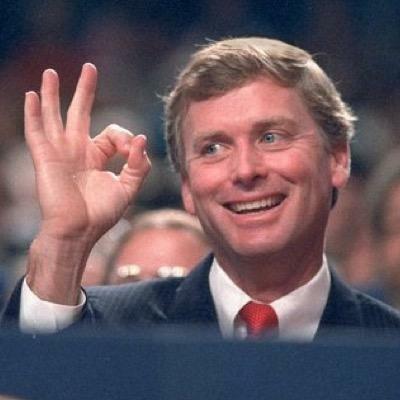 It would seem that in modern politics every president has been forced to deal with a scandal, big or small –vicuna coat, Watergate, Iran Contra, Stormy Daniels. 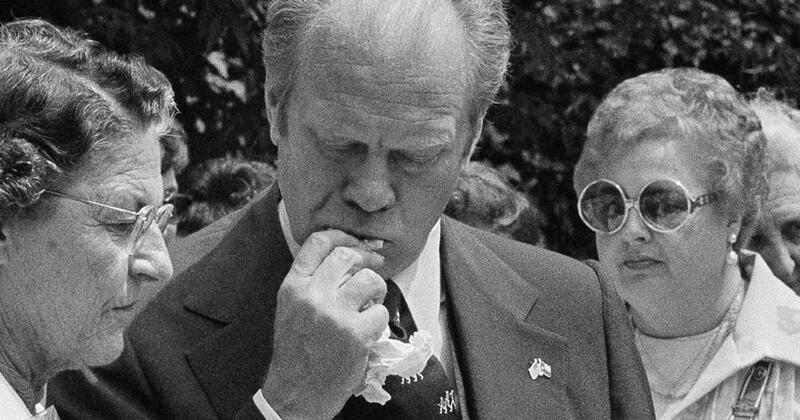 Gerald Ford’s scandal would probably be trivial in comparison to most. But it may have cost him re-election. It was April 10, 1976, in San Antonio, Texas, at the Alamo, where a tiny faux pas morphed into the Great Tamale Incident as the President attempted to eat a tamale without removing the corn husk, playing into his reputation as a bit of a bumbler. On this day in 1925 in the forward-looking State of Tennessee, it became a crime for a teacher in any public school or college to teach any theory that contradicted the Bible’s account of man’s creation. Wouldn’t you know it, within two months, a Dayton, Tennessee, high school science teacher and trouble-maker, John T. Scopes went right on ahead and taught his students that man descended from a lower order of animals, monkeys no less. This was, of course, the infamous theory of evolution. Scopes was fined $100, but the verdict was later overturned. Darrow called the case “the first of its kind since we stopped trying people for witchcraft.” This was almost a hundred years ago. Thank goodness we’ve gained a lot of insight since then. Pedro I a 14th century king of Castile was one of the first monarchs who could write, and he had very nice penmanship. That didn’t prevent him from being stuck with the moniker Pedro the Cruel for various transgressions, real and imagined. His greatest sin seems to have been his hatred for the monks, a hatred which was returned in kind. When Pedro died by the dagger of his illegitimate brother on March 23, 1369, his place in history was left to those monks who could also write. And they proved that their pens were mightier than his scepter. Good penmanship can only take one so far. 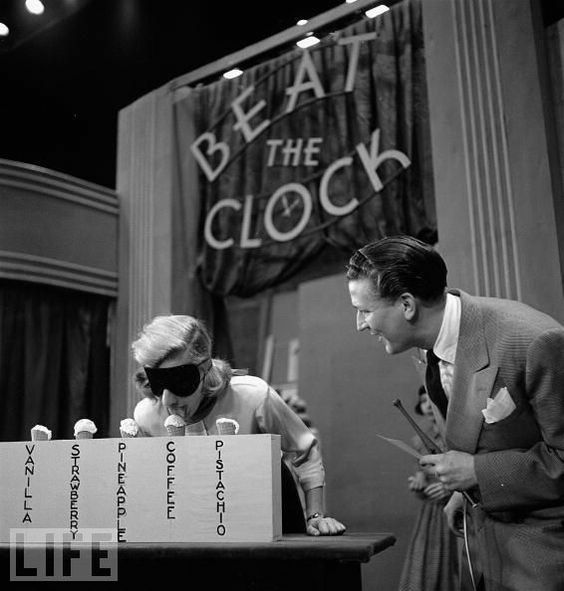 Beat the Clock made its CBS debut on March 23, 1950, hosted by Bud Collyer. It ran until 1961. It rose from the dead in 1969 as The New Beat the Clock, running until 1974. It reappeared in 1979 as The All-New Beat the Clock, and later as All-New All-Star Beat the Clock. To win, contestants had to “solve problems” within a certain time limit which was counted down on a madly-ticking giant clock. If they succeeded, they “beat the clock”; if they didn’t, “the clock beat them.” And they died. Back in the 7th century on an island in northern Britain, the very holy St. Cuthbert gave up the ghost. The exact date of his departure was March 20, 689. Not only was Cuthbert very holy, he was, you might say, holier than thou, or at least holier than all his peers. He devoted his entire life to converting the half-savage heathens (and there were quite a few half-savage heathens at the time) and praying — lots of praying. Such was his devotion that those about him often wondered if he were not a man but an angel. Cuthbert was duly shrouded and buried, remaining at rest for some 11 years until some curious monks dug him up to have a peek. They found Cuthbert in perfect condition, which they accepted as miraculous proof of his saintly character. They placed him in a new coffin, leaving him above ground so he might perform miraculous cures. Another 174 years passed and, with Britain facing an invasion by the Danes, the monks (different monks) carried Cuthbert’s still perfect body away and wandered with it from place to place for many years. Finally in the 11th century, Cuthbert’s body found a permanent home where it was enshrined and enriched with offerings of gold and jewelry from the faithful (there were a lot more of them now). In 1104, the body was inspected again and found still fresh. Another 400 years and another inspection. Three hundred years. It’s 1827 and Cuthbert is past due for inspection. This time, however, the inspectors were much more rigorous, and it was discovered that Cuthbert was an ordinary skeleton swaddled up to look whole, including plaster balls to plump out the eye holes. It would appear that some monks along the way had been quite naughty. St. Cuthbert himself serves as a fine example of a person who was far more interesting dead than alive. 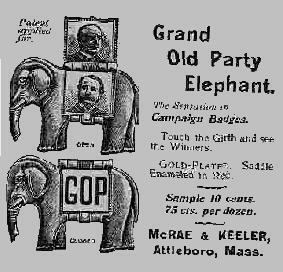 The Whigs didn’t last long as as political party. Formed in the 1830s out of annoyance with Andrew Jackson, they gave us four presidents — William Henry Harrison, John Tyler, Zachary Taylor and Millard Fillmore, commonly known by their nickname, Who? (not to be confused with the rock group of the same name). As is the case with many political parties, they had disagreements over tents, finding themselves unable to deal with the concept of big ones, and eventually tore themselves asunder with internal disagreements. The semi-official date of the party’s actual death was March 20, 1854. On that date, a number of don’t wanna-be Whigs met in Ripon, Wisconsin, and the result of that meeting was the birth of the Republican party, which lasted until 2016. 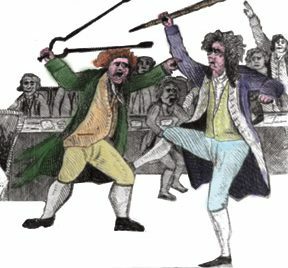 Astute readers will remember that back on January 30, 1798, in the U.S. House of Representatives, the gentleman from Vermont, Matthew Lyon, and the gentleman from Connecticut, Roger Griswold, had a bit of an altercation which involved the latter insulting the former and the former spitting on the latter. Far from letting bygones be, the two men evidently nursed their respective angers until they were bound to boil over again, which they did on the morning of February 15, 1798. The combatants were separated, and Lyon retreated to the House water table; but Griswold approached him again, and Lyon lunged forward with the fire tongs and initiated a second brawl. 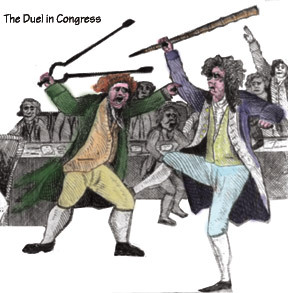 As Representative Jonathan Mason commented, the central legislative body of the United States of America had been reduced to “an assembly of Gladiators.” A lesson, perhaps, for today’s legislators, although the House of Representatives has become a place of cooperation and reasoned debate where no harsh words, let alone blows, are ever exchanged. “Since we knew of no way to weigh the woman, we devised an ingenious plan – well, it seemed ingenious at the time – to learn her true weight. In my business, I know rum. I know it by volume, and I know it by weight. Napoleon’s rum weighs exactly 28 ounces the bottle. 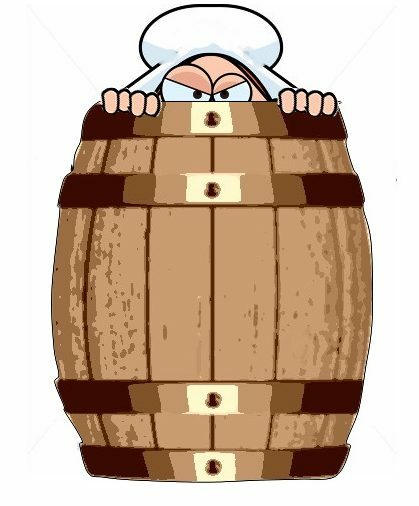 So our plan was this: We would put the woman in Napoleon’s barrel of rum, and she would push rum out of it. Then we fill it up again, figuring how many bottles it took. And that would tell us her weight.” Rollo looked smugly at the spectators as if expecting them to applaud. “And the rest of the operation was pretty much as Mrs. Napoleon described it?” asked the judge. Thanks to descriptions by authors such as Charles Dickens, Arthur Conan Doyle and Oscar Wilde, the opium den became a sinister staple of 19th century literature — an evil place where degenerates, mostly foreigners, mostly Chinese, lounged around on pillows, smoking their pipes, vacant eyes benumbed by clouds of opium fumes. The stories were far more fanciful than reality, but opium dens did exist and they soon drew the wrath of temperance advocates, missionaries and moral reformers. In the United States, San Francisco, inspired by a wave of anti-Chinese sentiment, outlawed public opium dens in 1875, as did many other communities with Chinese populations. Smoking opium did, however, remain legal. Then in 1909, the U.S. Congress stepped in. Never mind that only one in a thousand Americans smoked opium. The State Department determined that an initiative against opium smoking would be useful in opening the door to China, which resented British demands to allow opium trade following the two Opium Wars. An international commission instigated by the U.S. signed a treaty banning the opium trade. As a result, the State Department called on Congress to ban the import of opium for smoking favored by Chinese immigrants. And on February 9, 1909, Congress passed the Opium Exclusion Act, creating the first illegal drug in America and unleashing an army of government agents to chase down smugglers, bust dealers and raid dens. The 100-year War on Drugs had begun. In 1841, doctors tried opium (it was still legal) as well as leeches to save President William Henry Harrison, born on this day in 1773. To no avail. Old Tippecanoe (and Tyler Too) became the first president to die in office, turning up his presidential toes just a month after taking office, the shortest tenure of any U.S. president. He also holds the record for the longest inaugural speech at 31 days which may have been a factor in his death. Actually it was two hours; it just seemed that long. And it didn’t contribute to his death, although it might have to members of the audience. 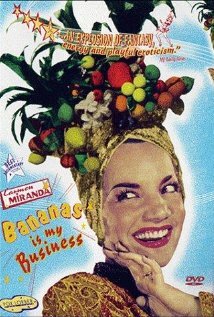 On the same day, over in Portugal, nowhere near an opium den, Carmen Miranda was born, immigrating to Brazil as an infant. Larger than life, but tiny in stature, she stood only 5’1” without her tower of bananas. Nevertheless, she filled a stage with her Latin energy and machine gun delivery, melodic Brazilian bullets ricocheting everywhere. She and her samba stormed the United States in 1939 – nightclubs, radio, movies – and by 1945 she was a superstar. In 1955, after filming an appearance on the Jimmy Durante television show, at 46 years of age, she died of a heart attack. Born in England in the early 19th century, Richard Lawrence immigrated to the Unites States at the age of 12. He was described as a “relatively fine young boy,” reserved, industrious, and of “good moral habits.” As an adult, he found work as a house painter. Historians suggest that it might have been the nasty chemicals in his paints that led to the change in his behavior. And change it did. He began to dress flamboyantly, changing outfits several times a day. He had conversations with himself and would frequently explode into fits of laughter or swearing. He sometimes threatened family members he thought were talking about him. Beginning in 1832, he several times announced to his family that he was returning to England only to return home after a few days for various reasons, one of these being that the U.S. government was preventing him from leaving. He often stood in his doorway for hours at a time, enjoying the taunts of neighborhood children who called him King Richard. He came to believe that he actually was King Richard III of England and that the U.S. government owed him a great deal of money. The government was not paying him and it was all President Andrew Jackson’s fault. If Jackson were no longer in office, Martin Van Buren would become president and pay him. On January 30, 1835, President Jackson was attending a funeral at the U.S. Capitol. As he left the funeral, Lawrence jumped out behind him brandishing two pistols. He fired the first at Jackson’s back. It misfired. He fired the second. It too misfired. Jackson swung around and beat the would-be assassin with his cane. The crowd (which included one Davy Crockett) wrestled Lawrence to the ground. Lawrence was tried in April and found not guilty by reason of insanity. His botched attack was the first attempt at a presidential assassination. More than 30 followed; four were successful. The US House of Representatives, known for its deliberative diligence, good comradeship, and decorous behavior, was not always thus. Take for instance the morning of January 30, 1798. Members had just concluded a vote on the impeachment of Tennessee Senator William Blount, and the House had recessed to tally the ballots. Members stood about chatting informally, waiting for the results. One member, Representative Matthew Lyon of Vermont was waxing passionate about another bill before the House. His discussion grew into a bit of a rant about the “malign influence of Connecticut politicians, whom he accused – rather loudly – of hypocrisy and corruption, claiming they “acted in opposition to the interests and opinions of nine-tenths of their constituents.” Nor did the gentleman from Vermont stop there. He charged them with seeking office out of greed for their own power and title, and stifling the opposition through a monopoly of the press. On a roll, he accused the Connecticut Federalists of brainwashing their constituents with opiates, finally punctuating his speech with the boast that were he to go into Connecticut and manage a newspaper there for six months, he could bring about a revolution, and turn the lot of them out of office. Will Lyon be expelled? Will Griswold be avenged? Stay tuned.